At Emergency Plumbing and Solar on Oahu, we’ve seen every type of clogged drain there is, and we have the tools to bring those clogs to a swift end. The reason we can unclog drains so effectively comes from our knowledge of how (and more importantly, what) can clog your drain and cause damage to your home. 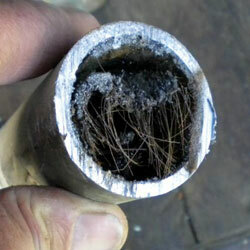 Here are a few common causes of clogged drains, and how to avoid them. You might wonder how a hair clump the size of a baseball could develop in your shower drain, or perhaps how you’re losing your hair faster than you thought. However, the average human who isn’t balding loses anywhere from 100 to 300 strands of hair per day, which can be more than enough hair to clog your drain over the course of a year. To prevent hair clogs in the shower drain, purchase a drug store shower drain filter. You’ll keep the hair out of your drain, and you’ll be able to keep tabs and how much hair you’re losing—for better or for worse. 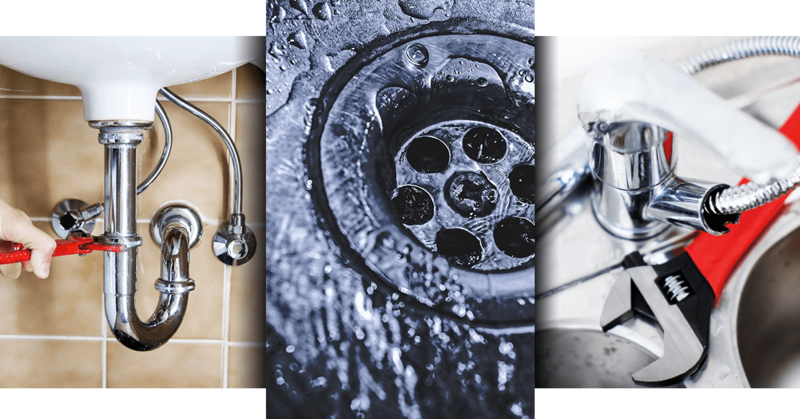 For kitchen drains and garbage disposals, food is the obvious culprit for clogs. These clogs can can be caused by almost any kind of food, no matter the size of the food particles. Over time, even the smallest of particles can adhere and create a clog, so it’s important to keep your drains and garbage disposal clean and well-maintained. However, using Drain-O or other chemicals to clean your garbage disposal can cause damage and deterioration to its plastic parts, so save the heavy-duty cleaners for your drains only. There are a number of common foods that can clog garbage disposals, such as pasta and bread (which expand and become sticky when wet), potato skins, eggshells, and fibrous vegetables. While coffee grains can improve the smell of your garbage disposal, they are incredibly sticky when wet, and can harden to create some tough blockages, especially if you drink coffee at a high clip. Didn’t your mom teach you anything? 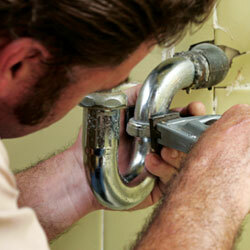 Pouring grease down a drain is the easiest way to clog it. Since grease is usually animal or vegetable fat, all that liquid grease from your hot pan will solidify into a jiggly, gelatin-like substance once it’s in your drain. This can cause some of the most frustrating and complex clogs that are difficult to remove—even for the professionals. Throw that slimy grease in the trash, or even better—start a grease jar. All that leftover grease from months of cooking bacon can be the magic ingredient and a great lubricant for future pan-cooked meals. You’d think soap would be safe for your drains, right? Not necessarily. Early soaps made by humans had a lard base, and many soaps today are still based off of some type of animal or vegetable fat, which clogs your drains in the same way as grease from the frying pan. Do your drains a favor and buy fat-free soap, which is becoming more and more common in supermarkets today. While toilet paper is scientifically engineered to be pipe-friendly, other paper products are too thick and sturdy to break down, which can leave you with a stinky smell and a backed-up toilet. Avoid flushing paper towels, baby wipes, cotton balls, cigarette butts, or newspaper down the toilet, as they’re just not designed to break down properly in plumbing systems. Diapers are a common cause of toilet drain clogs as well, as they are too thick and not biodegradable. Just because it’s a landing pad for poop doesn’t mean it should be put in the toilet. We hope these tips help you keep your drains and pipes clean and clear. But for those tricky drain clogs, call Emergency Plumbing and Solar. We’re Honolulu’s plumbing experts, and 24/7 emergency plumbing service for the entire island of Oahu—so you can get your drain unclogged right when disaster strikes. We’ve seen the trickiest of clogs in our day, and we abide by our clogged drain guarantee: if we can’t unclog it, you don’t pay for it. Contact us today, and let us help you keep your drains draining! What's Lurking in Your Drain Overall rating: 5 out of 5 based on 10 reviews.